Warning: do not operate on sharks at home. Is it shark week already? Well, kinda. Warface is celebrating three years first person shooting action with an update that should make people like us quite happy. And by "us" I mean co-op gamers. And by "happy" I mean "like sharks to a pile of bloody fish corpses". In a good way. The expansive Operation Black Shark update sends players to infiltrate a cyborg-infested skyscraper under construction by Blackwood. As part of an elite squad dispatched by Warface, you and your co-op friends will fight through floor after floor of enemy-infested areas to bring the tower crashing down. New weapons and new achievements released alongside the content update, just in case killing tower cyborgs wasn't reason enough for you to fire up the game. 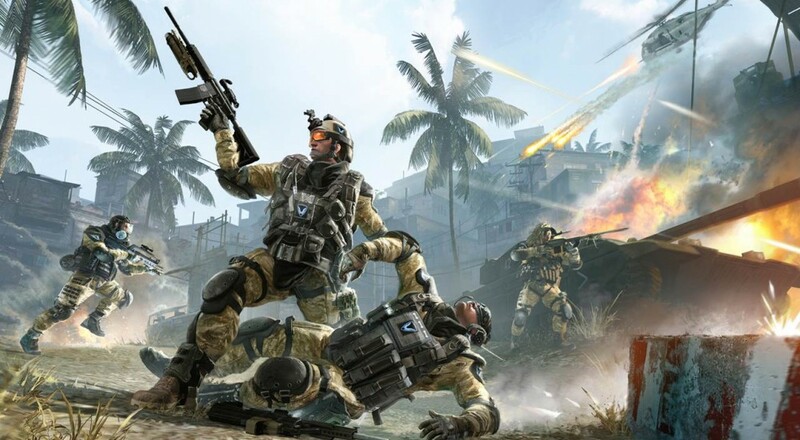 Warface's three year anniversary comes with a couple other milestones, as well. The game has had 37 major updates over the years, providing players with 50 PvP maps, eight game modes, and over 400 weapons. Warface as an esport has also taken off, drawing players in by the thousands for each event and giving out cash prizes every week.